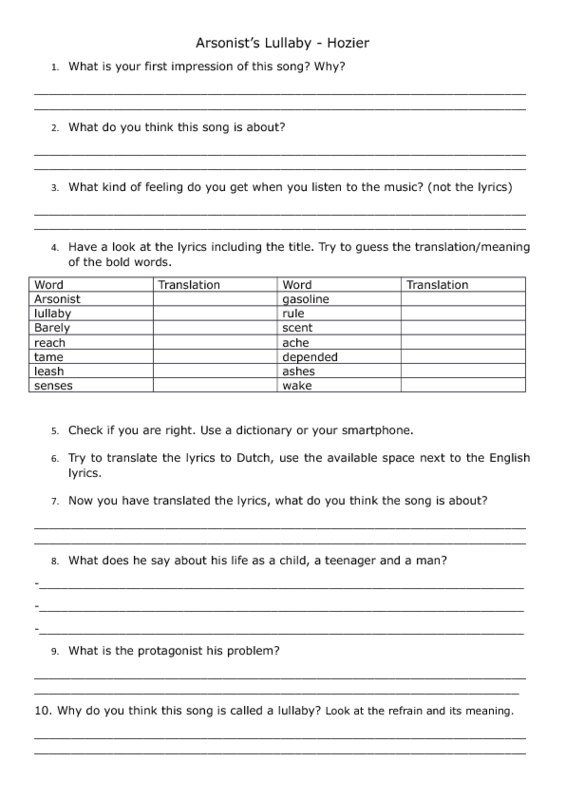 The students are working on questions accompanying the song Arsonist's Lullaby by Hozier. A song about, indeed, an arsonist. 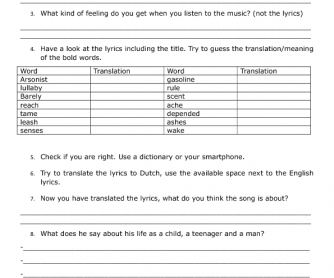 They are asked questions on how they feel when listening to this song, but they also translate certain difficult words and the lyrics into their native language. (In this case Dutch, but easy to adapt to your own language). After translation the students are asked questions about the context of the lyrics.